Courtesy of David Parker of Northfield Commercial. 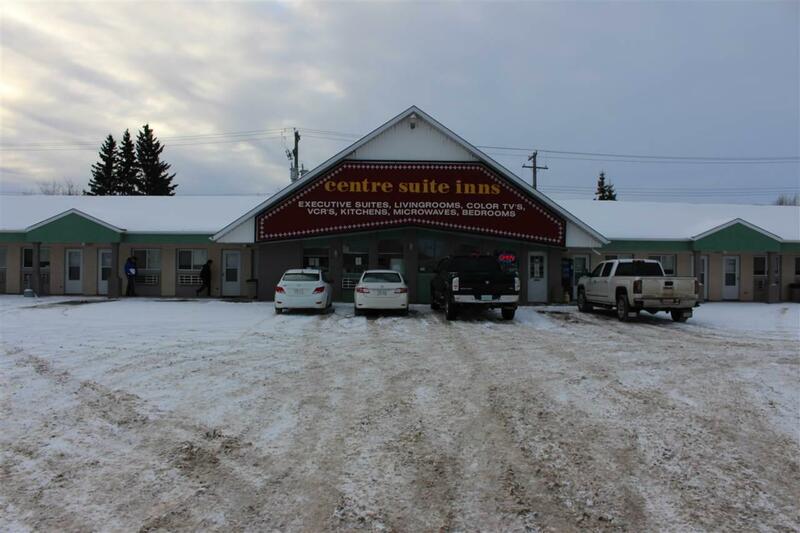 One storey motel complex with a total of 25 suites including 15 single bed units, 6 two bed units, 2 executive suites and 2 two bedroom units with kitchen. Basic construction for the building consists of wood frame exterior walls over a concrete basement. The building has a sloped roof with asphalt tile shingles. Exterior finish is painted stucco. The building is laid out in a C-shaped configuration around an asphalt paved parking lot with a central office/lobby area and breakfast nook for guests. There is also a staff lounge area with kitchen as well as a two piece washroom located at the centre of the building. Laundry facilities are also in facility. The breakfast room which is an extension of the front lobby was completed in 2012 and features similar finish to have evident in the lobby, with ceramic tile floor coverings and textured plaster ceilings and walls. Lighting is from a combination of fluorescent and incandescent fixtures.